I remember being in middle school and crying over how horrible my skin looked and how nothing I ever tried seemed to work. After years of trying out an endless amount of skincare products, I've ended up with a solid routine that works wonders for me personally; I can honestly say I've never had clearer skin than in the past year, and I've stuck to these products (with small additions here and there). Before Simple, I used the Bioderma Micellar Water. Unfortunately I have fairly sensitive skin, so the Simple line seems to work much better without irritating it. I use the Micellar Water in the morning and the Simple Makeup wipes at night to clear and makeup/oil/dirt that could be on my face. I love the Simple brand and every product I've tried by them! 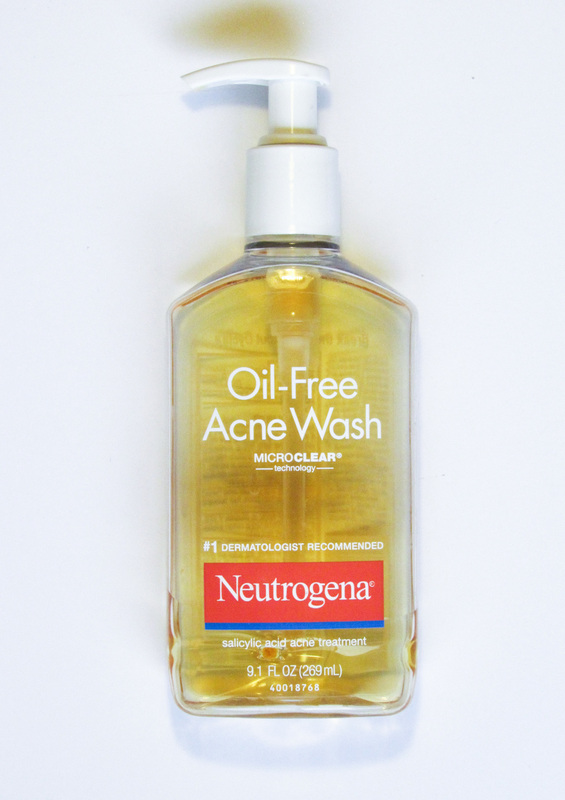 Next up is my (forever loved) Neutrogena Oil-Free Acne Wash. I think I've been using this for about 3 years now. It's made with salicylic acid, which is what clears out dirt and oil, and fights acne. Next up are my more "luxury" skincare products. The eye cream is great for overnight moisture, though I will say it's not a daytime cream at all. It's quite thick, which is great for tons of moisture, but not so good for wearing under makeup. The Moisture Mist is unnecessary but wonderful. I'm really not sure if it adds a ton of moisture, but it feels amazing to spray on your face after you're done with everything else! What are your tried-and-true skincare products? Let me know in the comments below!